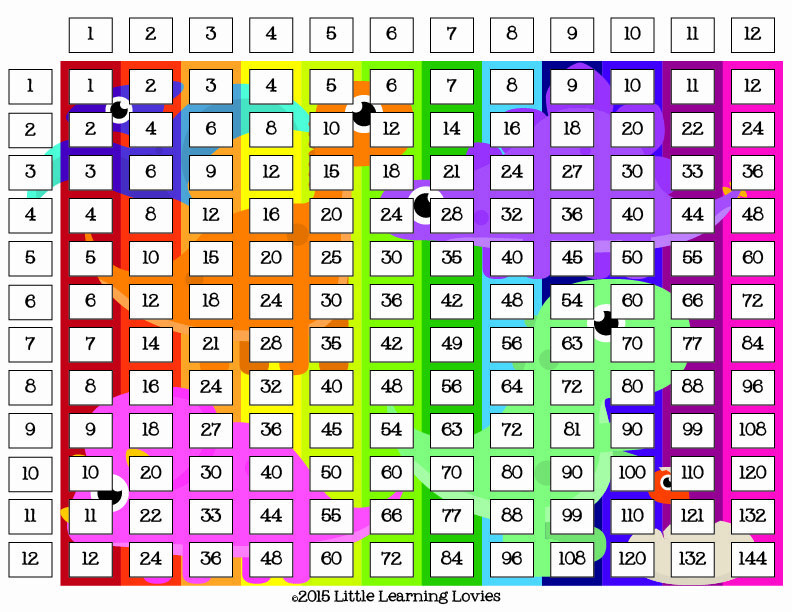 You know they need to memorize them and to do that, they need to practice them over and over but, Ugh! 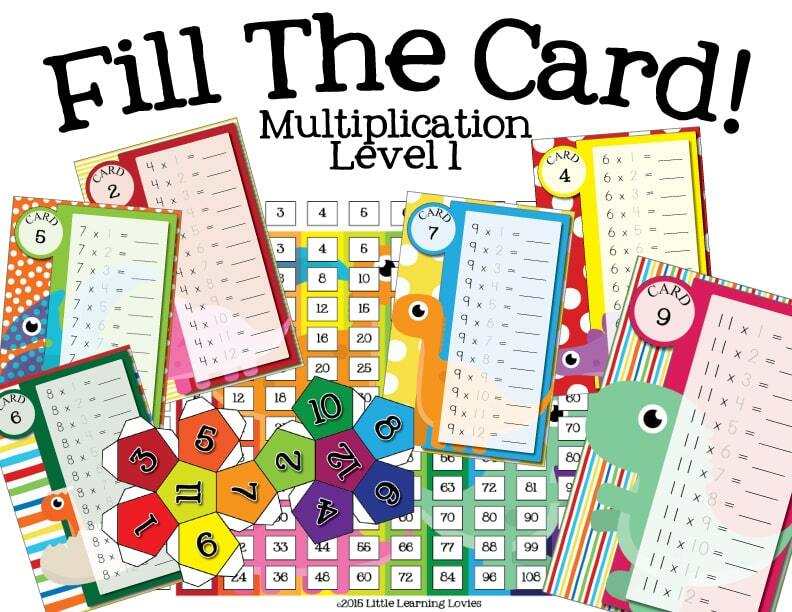 Multiplication Facts are so… multiplication-y! The practice doesn’t have to be boring and it doesn’t have to mean endless hours staring at a computer screen either. Make it fun connect with other people at the same time with our new game. This game is great for players of varying abilities to play together because it isn’t about speed. There is the element of chance involved which means even a weaker player has a chance to win it all. 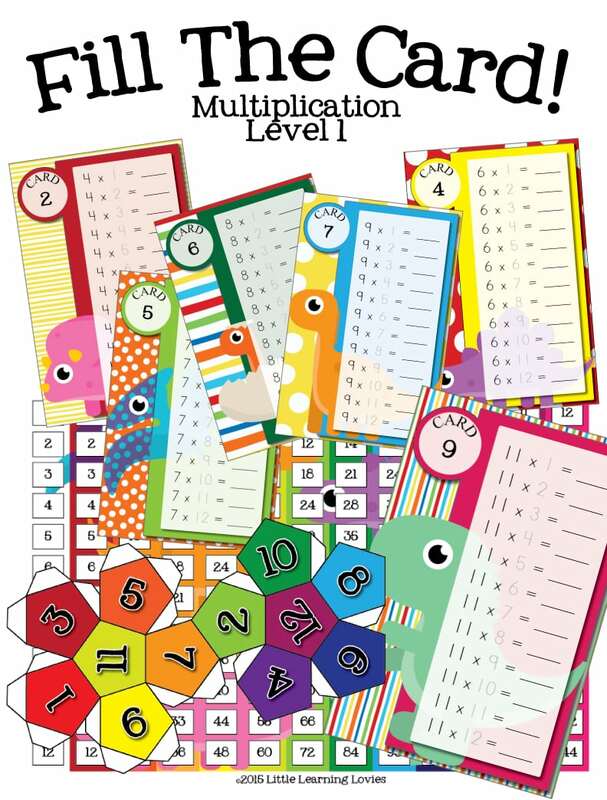 Bright, fun colors and adorable dinosaur graphics make this multiplication game a delight to work with. After you assemble the die and laminate the playing cards, you cut them apart, toss them in a gallon bag with a few dry erase pencils or markers and let the kids have at it. The kids roll the 12 sided die. Whatever number they get, they trace it on their card and answer that problem. 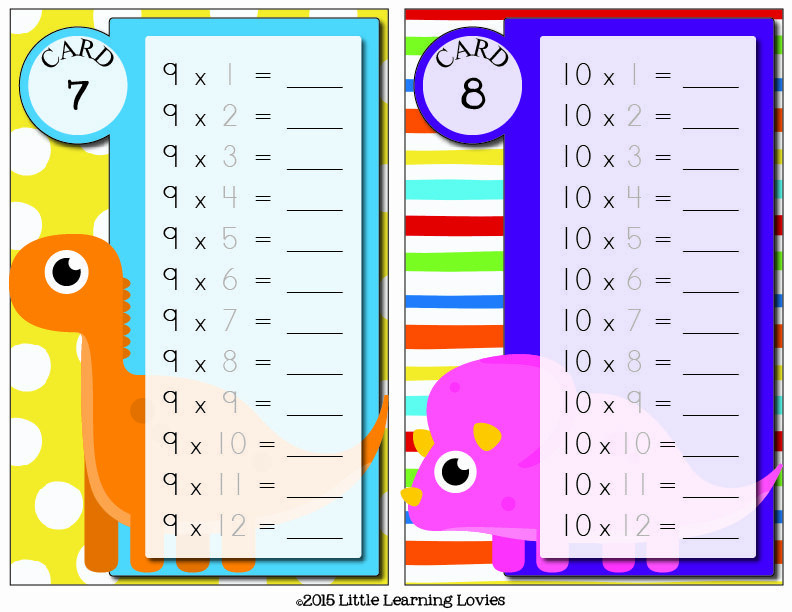 Once their card is full, they check their answers on the included Dinosaur Multiplication Table and if they are correct, they win! If not, they have to erase that answer and keep rolling. Click here to go get your download!